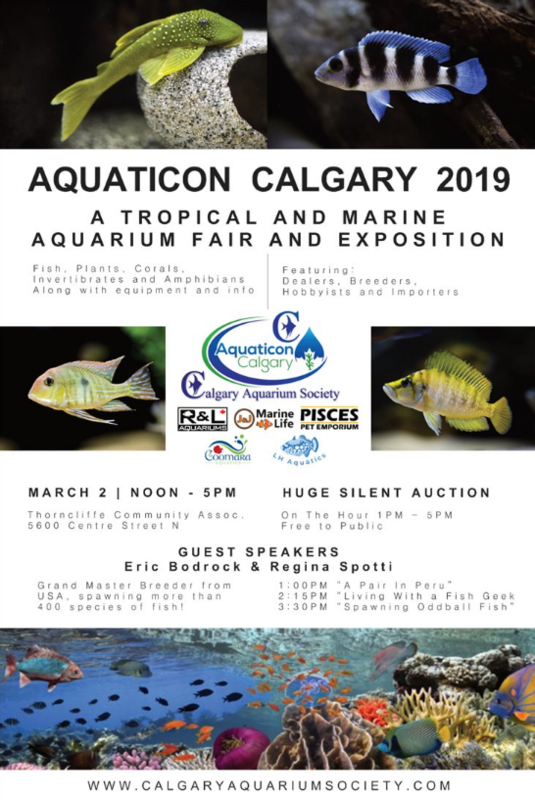 The Calgary Aquarium Society second annual tradeshow – Aquaticon Calgary 2019 – A Tropical and Marine Fair and Exposition – took place on March 2, 2019, at the Thorncliffe Community Association, 5600 Centre Street North Calgary, and was open to the public between Noon and 5:00 pm. Sixteen different vendors and sponsors were represented, four free public presentations were given and activities included aquarium-themed face painting for children and a large silent auction; attendance is estimated at over 1,500 as 1,400 door prize tickets were distributed prior to 4:00 pm. Many vendor booths had line-ups in front for the first three hours. We had planned to present free public presentations by internationally-known guest speakers Eric Bodrock and Regina Spotti. Unfortunately, they were unable to attend due to a last minute emergency. Club members can look forward to seeing their presentations at a future event. New speakers were found in the last week and we are very grateful for their participation. Grade 5 students from Edgemont Elementary, who are involved in the club’s, “Aquariums in Schools Program”, gave a presentation on how having a fish tank in their classroom has impacted their learning and increased their sense of responsibility. Paul Belanger from the Aquarium Club of Edmonton gave a talk on his experiences with the genus Corydoras, Jordanne Somers gave a presentation on Axolotl and Fred Guy presented a talk on getting started with Killifish. The Thorncliffe Greenview Community Association Hall proved to be a very suitable location for the event and we would like to thank Kevin Kromm and the staff at the Hall for their participation which contributed to a smooth set up – making this an easy event to execute. 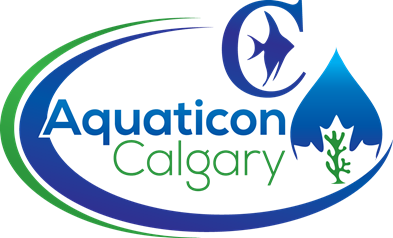 Aquaticon Committee members for the event included, Mike Ghosn – Treasurer, Len Hagbladd – Facility Liasion and Site Design, Birgir Kamprath – Speaker Liaison, Justin Pomeroy – Vendor Recruitment, Advertising and Publicity, and Fred Guy – Committee Chairman. Over the past year Committee membership also included, Catherine Forbes, Jim Hendricks, Daniel Kosolofski, Paul Price, who among other things led the logo design, and Rick Zemp.